The Neon Museum, Las Vegas. - MisTan IzZy | Travel & Lifestyle. The Neon Museum, Las Vegas. As much as you can see on every movie that takes place in Las Vegas, the gambling city, or the city that never sleeps, pretty sure that you can easily recognize it by all the sign boards. It is like the iconic of Las Vegas! 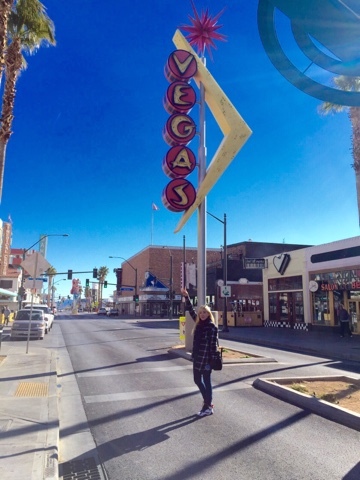 Today, I am going to introduce about The Neon Museum, located in Las Vegas. A very well-preserved museum. 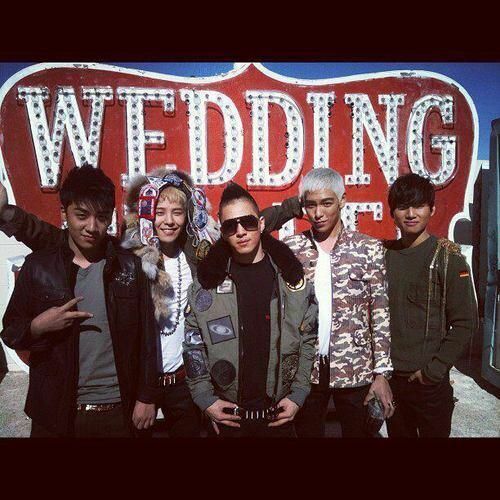 How do I get to know about this museum, it all thanks to Big Bang :) They had their Tonight M/V shooting in the museum back in 2011 when the museum was still not open to the public. Wanted to take picture with this sign board so much but it has been taken back by a family who used to own this sign board! T.T Sad case, I guess the signboard becomes so famous after as we were told by the guide that so many people asking about it LOL. 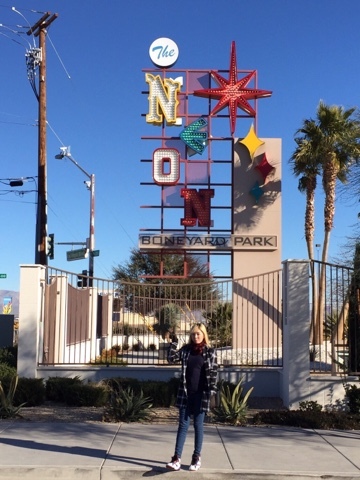 The Neon Museum was founded in 1996, it is a non-profit organization dedicated to collecting, preserving, studying and exhibiting iconic Las Vegas signs for educational, historic, arts and cultural enrichment. The Neon Museum campus includes the outdoor exhibition space known as the Neon Boneyard, a visitors' center housed inside the former La Concha Motel lobby and the Neon Boneyard North Gallery which houses additional rescued signs and is available for weddings, special events, photo shoots and educational programs and it's officially opened on October 27, 2012. 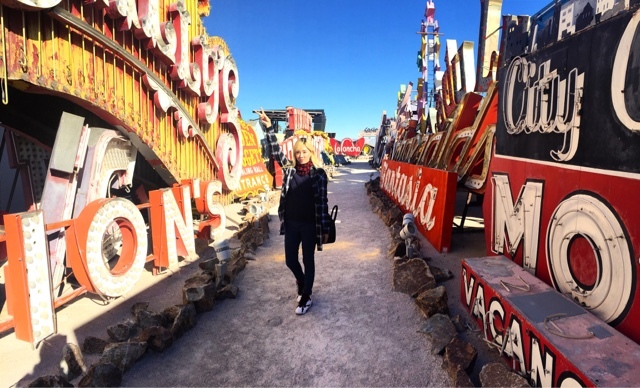 Due to the nature of the collection, the Neon Museum Boneyard is only available to the public through an hour long guided tour. Tours are available seven days a week and tour times vary based on the season. You need to make a booking through online here as they only allow a few people in a group at one time, however the tour available every half an hour. Prices are vary, $18 for adults. The Neon Museum is located near to Fremont street, downtown of Las Vegas. We walked to Fremont Street after our tour in the museum, I find it only within walking distance :) But from Las Vegas strip, you will need to take a cab or bus to the museum. Whenever we talk about Las Vegas, is only about gamble and entertainment right? Why not put a little effort about understanding the culture and iconic of this beautiful city? :) Oh Vegas, I'm in LOVE! I saw this place on another blog! was it yours? I was at this place last week. This is such a joy as a place for food! I had a beautiful time here. It reminded me of other LA event venues. A beautiful, wonderful place that had excellent atmosphere. Where to stay in Jeju Island? 4 Days in Siem Reap.